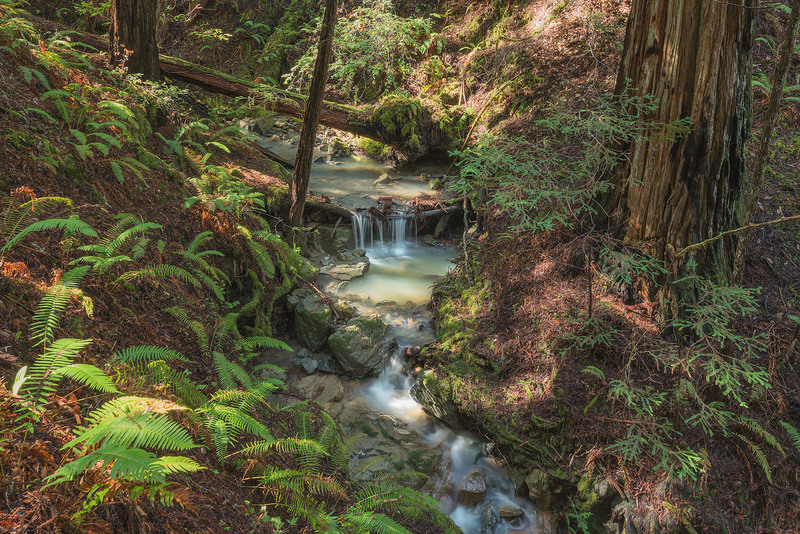 Nestled in the wooded hills along the Sonoma coast lies a hidden wonder that has remained largely untouched for thousands of years — 730 acres of pristine forest known as Harold Richardson Redwoods Reserve. These are the tallest and biggest ancient redwoods on private lands in Sonoma County, rising as high as a 32-story building from a lush, magical forest rich with wildlife. This large, complex forest is about three hours north of San Francisco, and it looks much as it did thousands of years ago with large, ancient giants among younger healthy trees. The oldest known coast redwood south of Mendocino County and the widest coast redwood south of Humboldt County has been discovered on the property; it is estimated to be 1,640 years old with a trunk as wide as a two-lane street. Many of the trees have goose pens (big hollowed-out openings at the trees’ bases caused by fires), as well as thick, gnarly bark. These and other features can sustain all manner of wildlife, including the imperiled northern spotted owl, the Townsend’s big-eared bat, salamanders, and the imperiled marbled murrelet, a seabird that depends on large redwood boughs for nesting. In addition to the wildlife and the more than 1,450 ancient trees, the property features Haupt Creek, a fish-bearing stream and tributary of the Gualala River. Harold Richardson Redwoods Reserve has stood as a refuge because generations of the Richardson family kept the old-growth standing, protecting it for nearly 100 years. When Harold Richardson, the family’s patriarch, passed away in 2016 at age 96, he left the ancient forest to his heirs, who in turn have worked with Save the Redwoods League to protect it for future generations. Thanks to their legacy, Richardson Reserve is now a refuge for ancient giants and wildlife, and the forest is now proudly named after Harold. 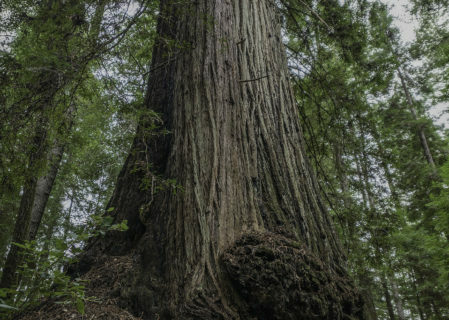 When Save the Redwoods permanently protected the reserve in June 2018, it was the highest priority for conservation in the coast redwood range, according to the League’s science-based Vibrant Forests Plan. In the future, the League plans to open the reserve to the public with new hiking trails so you can experience this magical forest yourself. The trees in this inland redwood grove thrive outside the coastal fog belt and are crucial to the continued survival and success of redwood forests as the climate changes. Wildlife that depends on big, old trees dwells here. Funding for the acquisition of the Harold Richardson Redwoods Reserve came from the generous support of League members, matching challenge grants from an anonymous donor and The Mattson Family Conservation Foundation, and from the Gordon and Betty Moore Foundation. How can I help this project or others like it? Donate to the Redwood Land Fund. Give a gift today to help purchase and protect threatened redwood forests. Your generous support gives us the financial resources to compete in a complex and fast-paced market, enabling us to purchase coast redwoods and giant sequoia for all to enjoy.